Leader Access Hire are the access equipment specialists. Leader Access Hire was established to service the needs of construction, manufacturing, commercial contractors & residential clients, offering it's range of current models of access equipment. Vertical Lifts, Electric Scissor Lifts. Diesel Rough Terrain Scissor Lifts, Electric Knuckle Booms. Diesel Rough Terrain Knuckle Booms, Telescopic Straight Boom Lifts. Telehandlers, Duct Lifters, Material Handlers & Forklifts. 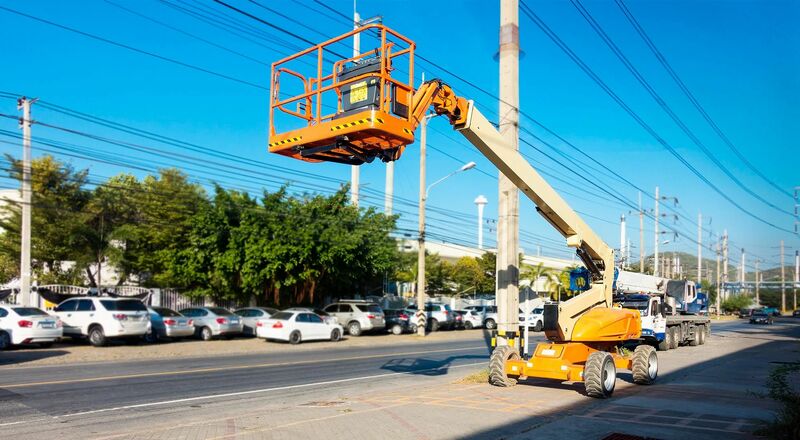 Our extensive fleet of electric and all-terrain elevating work platforms are continually maintained to ensure total reliability. Leader Access Hire ensures the highest safety standards and fastest cycle times on the market. We continually strive to provide the best quality and professional service for users of access equipment, to cater for an ever-changing market and our clients every need & requirements.